Assistance with tuition is often very important for students in order to receive the education that they desire. 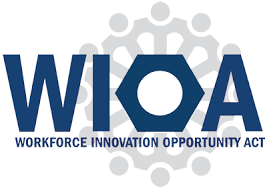 WIOA is a federal program providing assistance to unemployed adults and dislocated workers (those affected by a plant closing or worker reduction). WIA may cover a significant portion of tuition costs. For more information on WIA, contact Michigan Works! Agency at 1-800-285-WORK, or visit their website at http://www.michiganworks.org. The MACC also offers some wonderful information on various forms of financial aid that may be available for prospective students. 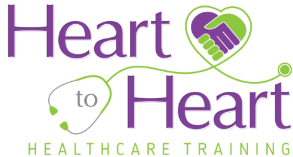 Heart to Heart Healthcare Training offers scholarships for students to attend our Certified Nurse Assistant class. Please see below. Bridget was a very special person with such a kind and loving soul. Her mission in life was to spread love wherever she went. She always took the time to learn everyone’s name, ask someone how their day was, and always made you smile. She took the time out her day to make sure those around her, whether they be friends, family or even strangers, felt appreciated and loved. Bridget’s motto in life was to be kind to others – more love, less hate. 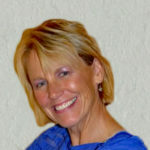 Bridget spent much of her free time volunteering and helping others in any way she could. She volunteered at many different places including Habitat for Humanity, her church, and anywhere in the community where she was needed. The world needs more people like Bridget, and at Heart to Heart we want to reward the people that make a positive impact in this world. This scholarship is dedicated to those individuals who show the same compassion for life, the same mission to spread love and kindness as well as the same dedication to helping others that Bridget did. This scholarship will be rewarded once a year to a student of Heart to Heart Healthcare Training for free tuition into the Certified Nurse Assistant training program. The tuition of $900 for this scholarship will be donated to one of Bridget’s favorite charities – The ChadTough Foundation. Essay requirements – 750-word essay explaining how you exemplify the same characteristics that Bridget did in life – love, kindness and dedication to helping others. Along with the essay, please attach your resume and three personal references that can attest to these characteristics (include email and phone number for references please). Once we receive the essay you will receive a confirmation email stating that we have received your entry. We will schedule personal interviews with the top 5 students who meet the requirements of this scholarship by June 1st. Deadline – All essays must be submitted by May 1st. Here at Heart to Heart Healthcare Training we believe in giving back to the community. We have created this scholarship for students who are looking to become Certified Nurse Assistants. We will choose two students throughout the year to receive free tuition to our program. If you are interested in applying for this scholarship, please see the details below. 1. Tell us a brief story about your life and current situation. 2. What are some hardships or troubling times you’ve faced in your life and how did you make it through those times? 3. Why are you choosing to enter the healthcare field? 4. What are your future career goals? 5. How would you benefit from receiving this scholarship? 6. Please provide the top two class dates that would work best for you if chosen for this scholarship?